Size: 700 sq.ft. - 1056 sq.ft. 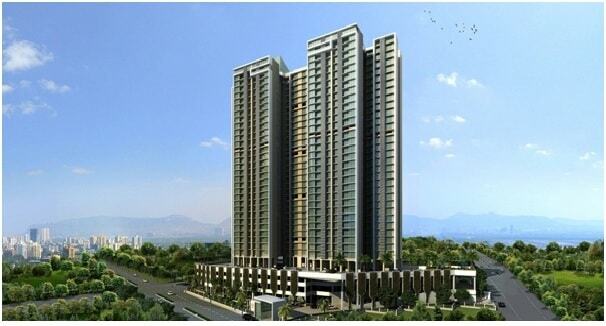 ACME GROUP has planned high-rise residential towers development at Kandivali West, Mumbai. This futuristic concept & design is spread across an expansive area of 3 acres & being developed with landscaped greenery.This new project by Acme developers offers 2 and 3 BHK apartments having tentative floor plans of 810 SQ.FT to 1642 SQ.FT. Acme Avenue luxuries apartments rates starts from 87.48 Lacs to 1.77 Crores.It is presenting roomy interiors which can accommodate both the large and nuclear families. The total number of flats this project will have is 378approx and the possession will take place on March 2018. Acme Avenue atKandivali, the homes are available as 2 and 3 BHK premium residences, organized as opulent high-rise towers. Indoor specifications of the homes are like laminated flooring in the master bedrooms, trendy kitchen, bath fittings and layouts are spanned over 700 to 1056 sq. ft. of area.Acme Avenue's two towers are 32 storied each that has 378 apartments. It is standing proud on the 3 acre exclusive campus. The campus is laid out with well-built in-roads and protected surrounding. The location of Acme Avenue makes sure that the home-seekers are choosing the right Apartments.. It is one of the most prestigious address of Mumbai with many facilities and utilities nearby Kandivali West. One of the first arterial roads - Linking Road stretches from the locality of Bandra to Juhu. A Metro Line terminating at Charkop has been proposed in the area and it is also well-connected to other parts of Mumbai with the railway lines. Kandivali location is mainly known as the most sought-after destination in Mumbai. The location of Acme Avenue lies at Babrekar Nagar, Charkop, Kandivali (West). Amenities & features of Acme Avenue contains reserved parking, gym, tennis court, community party area, grocery store, campus atm, swimming pool, games room, football & cricket area, kids play area and worship place, round-the-clock security, CCTV surveillance and RCC framed structure are some of the security measures used here. Schools: - Veer Bhagat Singh International School, Mother Teresa School, Pinnacle High International School, Thakur International School in Mumbai, EuroKidsCharkop. Hospitals: - SURGIMEDIK Healthcare India Private Limited, Municipal Hospital, The Children's Hospital, Zenith Multispeciality Hospital, ViSHA Therapy And Consulting Centre. Shopping Malls: - Metro Shopping Centre, DMart, Evershine Mall, Inorbit Mall. Banks/ ATMs: - New India Co-op Bank, State Bank ATM, Axis Bank ATM, IDBI Bank ATM, Abhyudya Co - Op Bank &Atm, Punjab National Bank ATM. Movie Theatres: - Movie Time, Mayur Theatre, Kasturba Talkies, Gold Cinema, PVR Kandivali West. Railway Stations: - Malad Railway Station, Kandivali Railway Station, Borivali Railway Station. Parks: - Charkop Garden, Joggers Park, Palm Garden, Kamlesh Mitra Mandal Garden. Pharmacies: - Bhoomi Medical, Jyoti Medical & General Store, RusanPharma Ltd, Mahesg Drug Corner. Restaurants: - Dolphin Restaurant, Santinos Restaurant, Hunger Cafe Pure veg, Bakshi Food Parcel, Gopala’s Veg Kitchen. 700 sq.ft. - 1056 sq.ft.